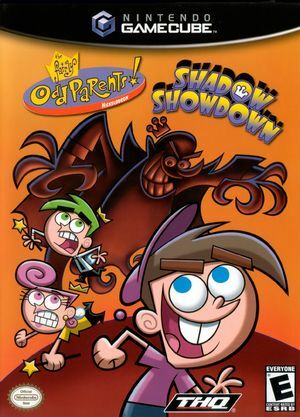 In The Fairly OddParents: Shadow Showdown an unbelievable phenomenon is rattling kids all across Dimmsdale--there's no TV reception! When prevented from watching the season finale of Crash Nebula, Timmy and his Fairy Godparents embark on a journey that they soon find goes beyond simple TV static. An evil force plans to take over the world, and now Timmy must use wishes to unmask the evil force known only as The Shadow. New wish inventions include the Suit Spray, Repair-o-Tron, Pogo Stick of Justice, and more. The graph below charts the compatibility with The Fairly OddParents: Shadow Showdown since Dolphin's 2.0 release, listing revisions only where a compatibility change occurred. This page was last edited on 16 January 2018, at 04:27.